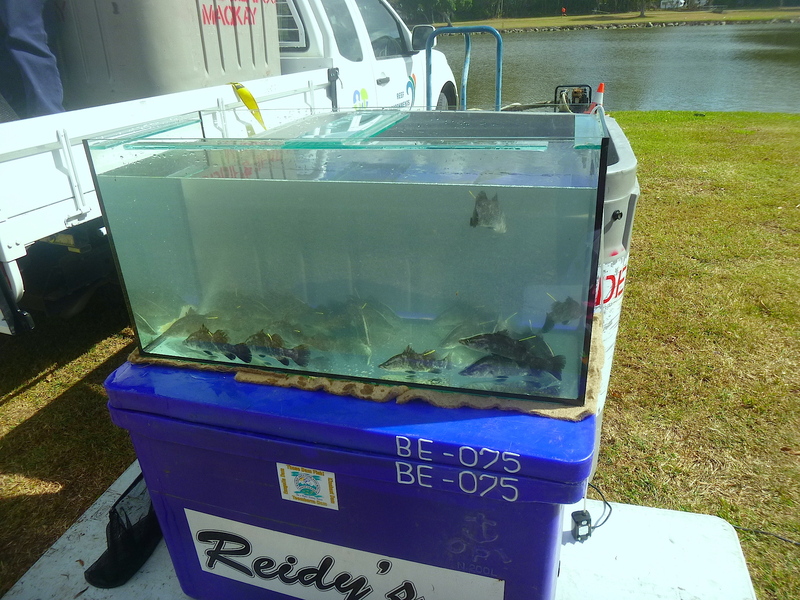 I attended an awesome event put on by the Mackay Recreational Anglers Alliance and Reef Catchments at the Gooseponds just a short walk from my home. 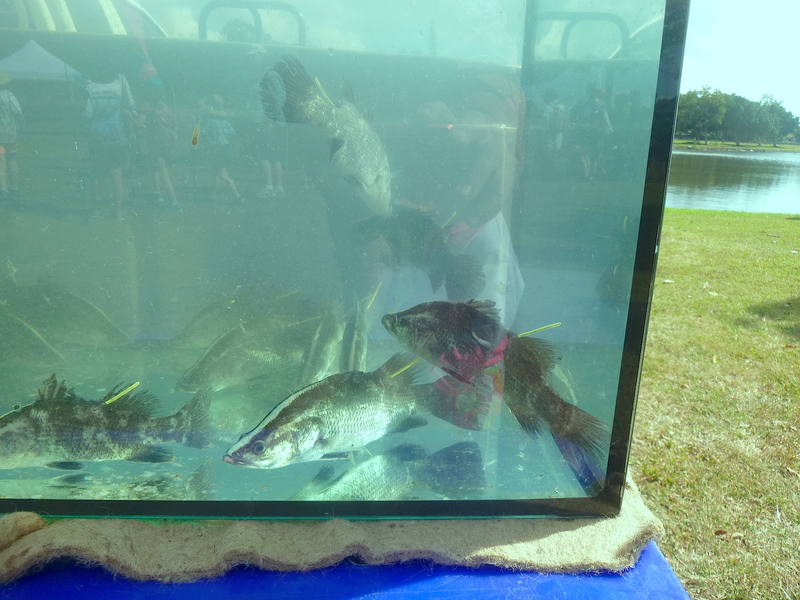 The mission is to attempt to eradicate the Talapia in this unique ecosystem before they take a hold by releasing large numbers of juvenile barra into the waterway. 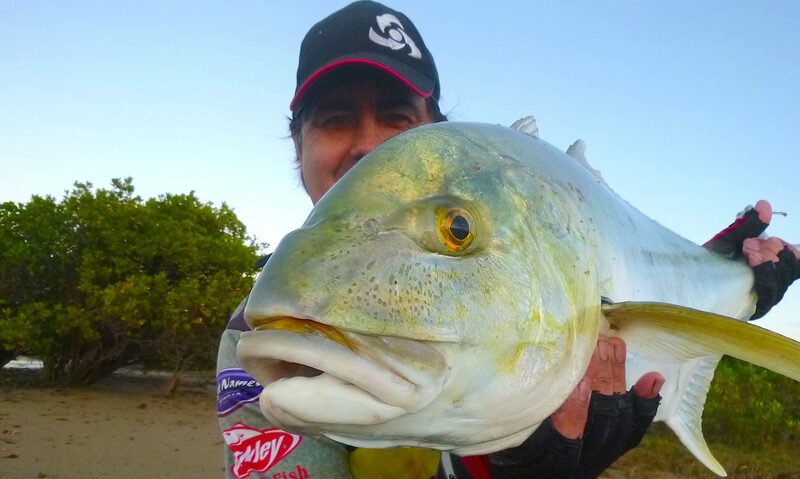 There is already a healthy population of barramundi in the Gooseponds and at the moment only relatively small numbers of talapia have been found so the idea is to tip the balance in the favour of the good guy’s ……. our precious natives. 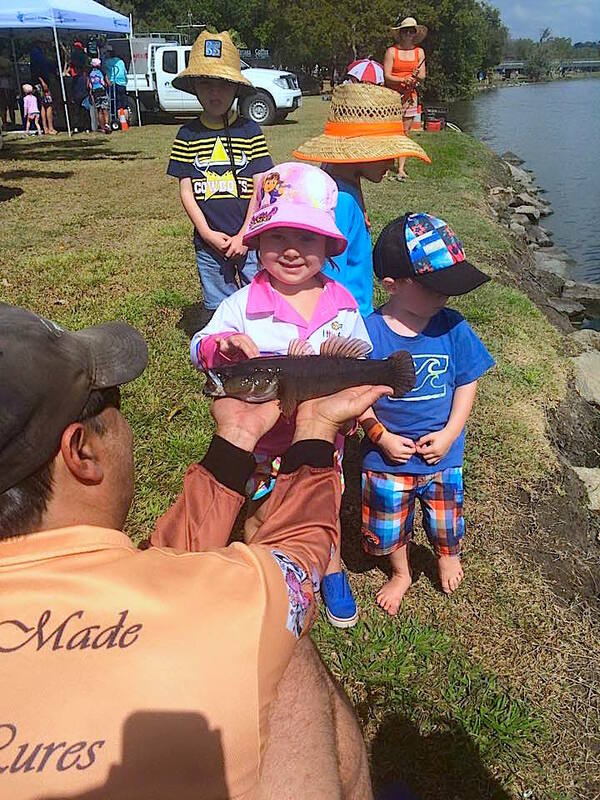 This release of the barra also coincided with a family fun fishing day where the kids were encouraged to have a fish and the banks were lined with hopeful young faces eager for that special capture. With talks about pest fish, the importance of looking after our waterways, electro fishing and tagging barra. 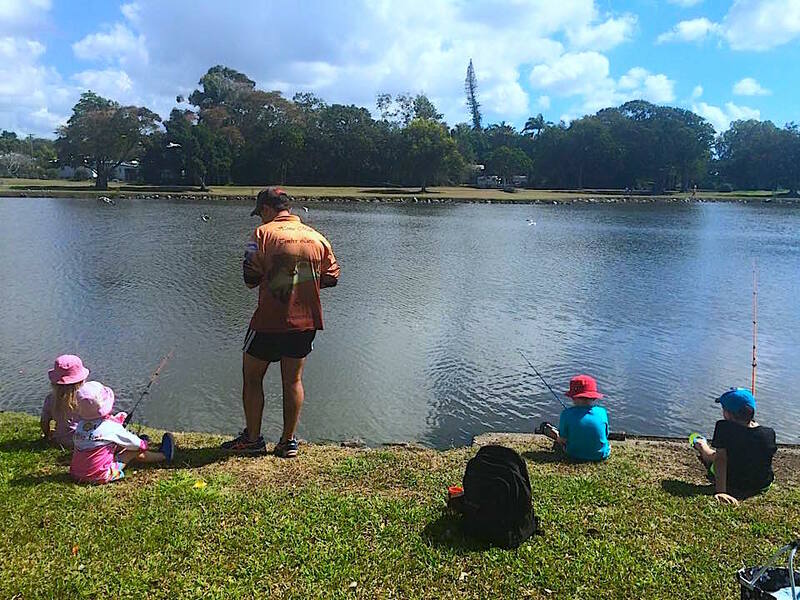 I was baiting hooks, untangling lines and removing fish for 4 children aged 3 to 6 including my daughter who received a $20 gift voucher from Tackle World for catching the first fish of the day, a nice little sleepy cod. 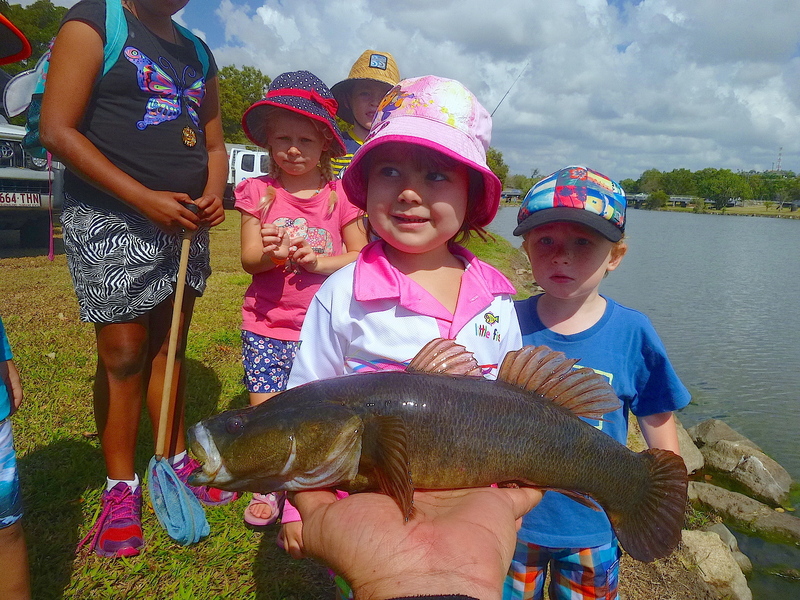 It was a great morning and such a great thing to see the young kids enjoying learning about fishing and their environment. 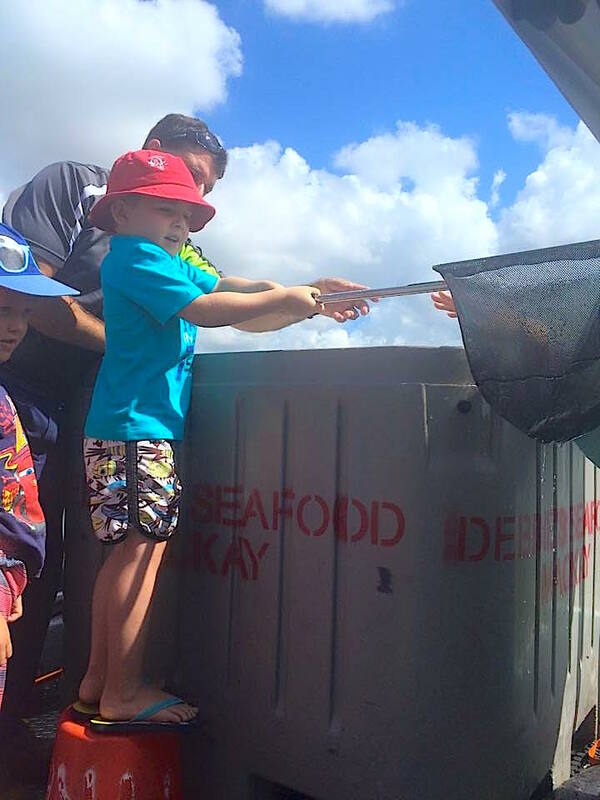 We are lucky to have local organisations such as these, a big thank you on behalf of Mackay’s future anglers. The first fish of the day attracted a crowd! Me and my tilapia slayers! Damon with a net full of barra! Very cool. My dad used to be very involved with the “take a Kid fishing” initiatives at home. Whenever my Nieces and nephews visited home they were always keen to get out with Grandad! Popped in to see how your Down Under summer fishing was going and came back to this post. Have used it for inspiration on “you INspire me” Scheduled for the 14th of Jan and linked back to you. Happy fishing! and Happy New Year. Thanks Leanne, the fishing has been a bit quiet of late. Desperately needing some rain to fire the fish up a bit.